A review of the appliance was also done 1/2016 at Storage Review which you can check out here. I’ve included some of the steps you would normally see for one of the appliances below.. 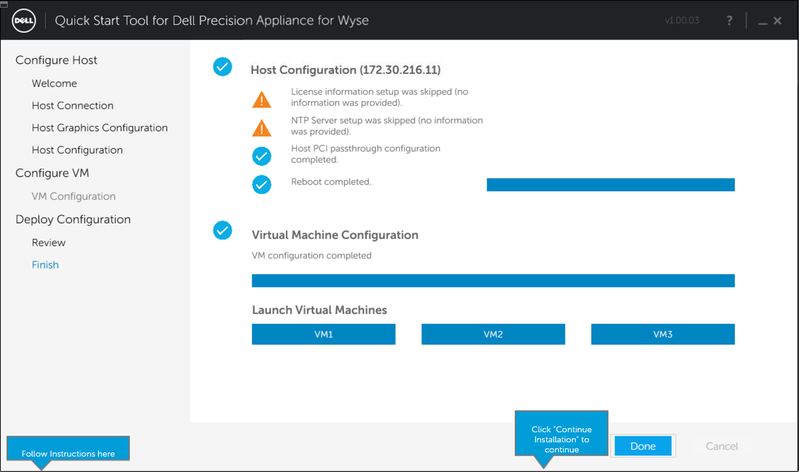 The screen shots below are what the Quick Start Tool steps would look like when configuring the Precision Appliance using vGPU & NVIDIA K2 video cards. 2. 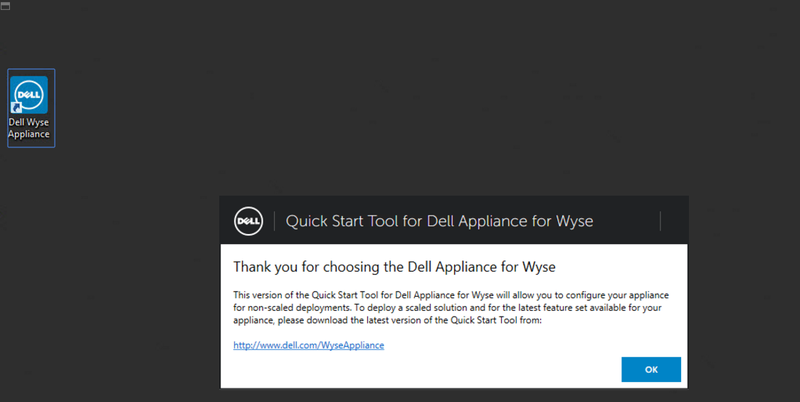 Overview of Quick Start Tool and information to get started including configuring the host. 3. This screen shows the 2 NVIDIA K2 cards (2 GPU’s per card for total of 4 GPU’s as shown) in this specific appliances configuration. 4. 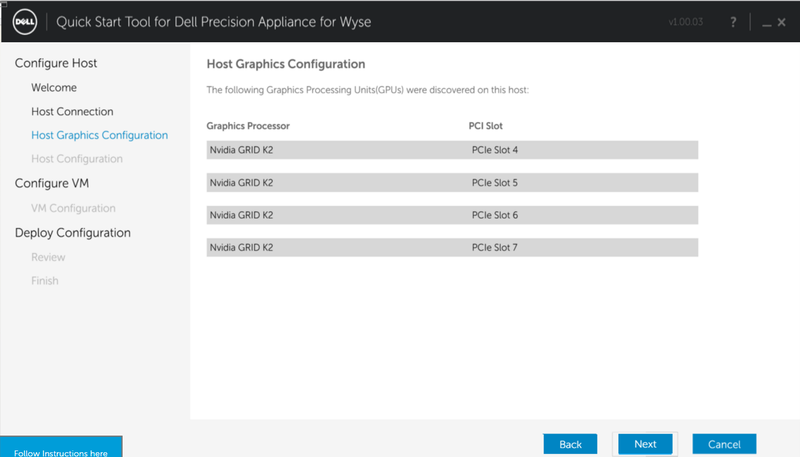 Once your host is configured and in this case, NVIDIA cards selected, the Quick Start Tool will go through and configure the appliance. 5. Once the appliance is configured the last steps will be to install the operating system and applications. Hopefully this gives you a high level view of what the Quick Start Tool does and provides a bit of an overview of the process. You can see a video of this same configuration here.